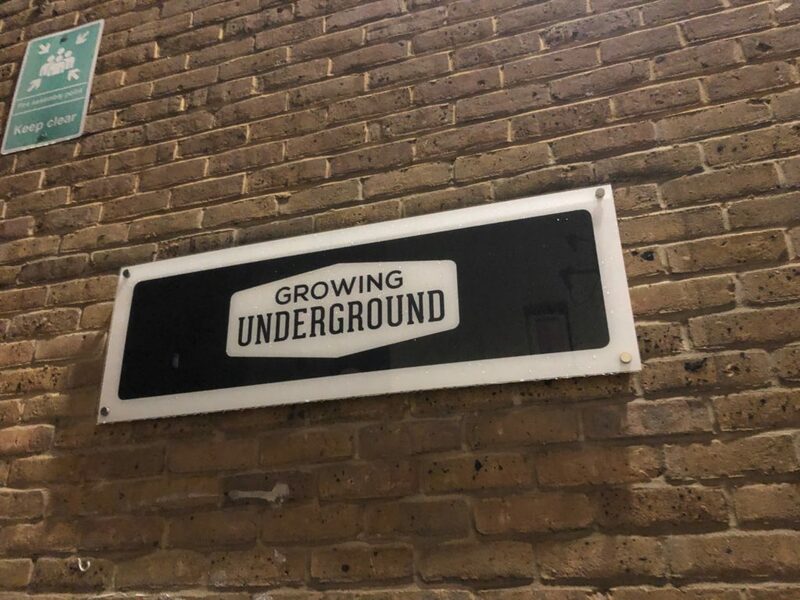 Our Bandstand Beds gardeners were thrilled to get tickets for a tour of Growing Underground, to witness for ourselves the amazing food production happening right beneath our feet in in a tunnel in Clapham. Our adventure started with a warm welcome from Richard Ballard, the co-founder of Growing Underground. 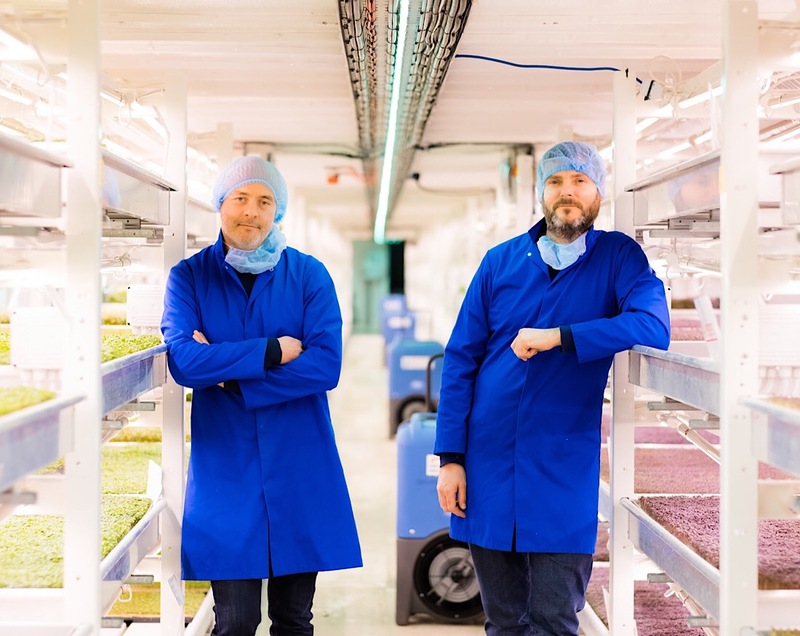 He then went on to explain why he had decided to create a ‘vertical farm’, a method of producing food using hydroponic systems and LED lighting to grow micro greens in an ecologically sound and sustainable way. Being sited beneath the ground, the crops are not affected by the weather or bugs. So, no nasty crop spraying is required either! As we began the tour Richard told us the history of Growing Underground, which 2013 trialling their farming techniques in the tunnel at Clapham North. It later moved to the Clapham Common site as it’s better suited for their needs. They now employ 22 people and the business is growing as fast as its product. Although currently only operating in a proportion of the tunnel they want to expand into the rest of the space over the next few years. As we walked around the tunnel we could see a seamless manufacturing process has been set up. 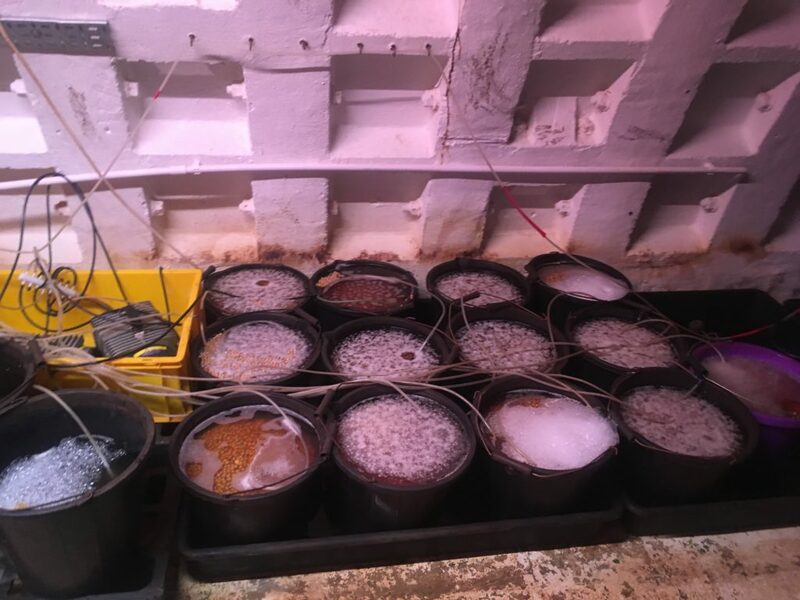 Seeds come in, they are washed and then planted in special trays stacked on top of each other like bunk beds. All lit by special LED lighting, powered by renewable energy. 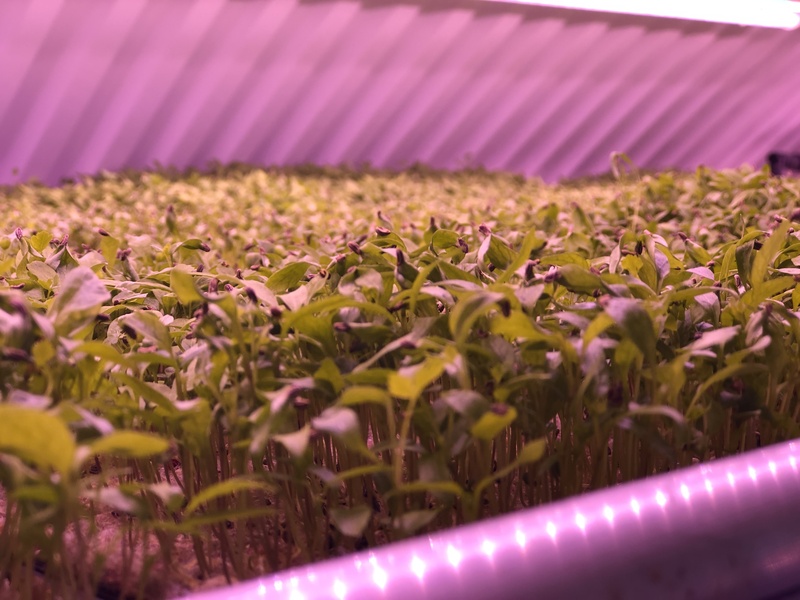 The seeds germinate and grow quickly under the 24-hour lights, so quickly in fact that they can be harvested within one week, and freshly bagged for sale. 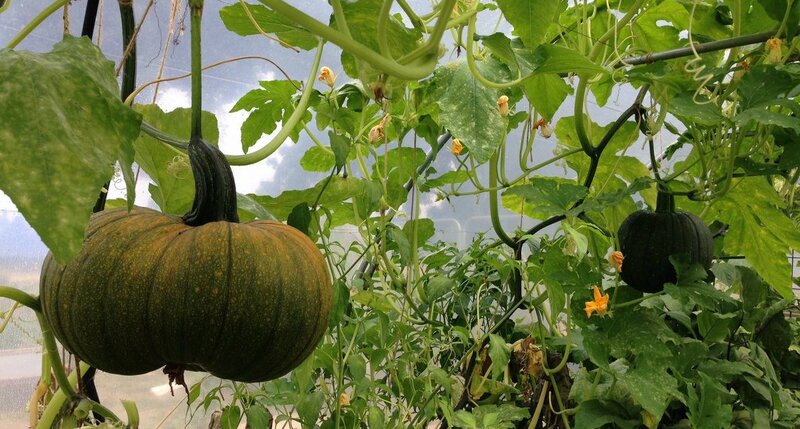 This allows up to 60 crops a year as opposed to say one a month in the growing season above ground. The temperatures in the tunnels can remain constant as it’s deep underground, which is another huge plus point. 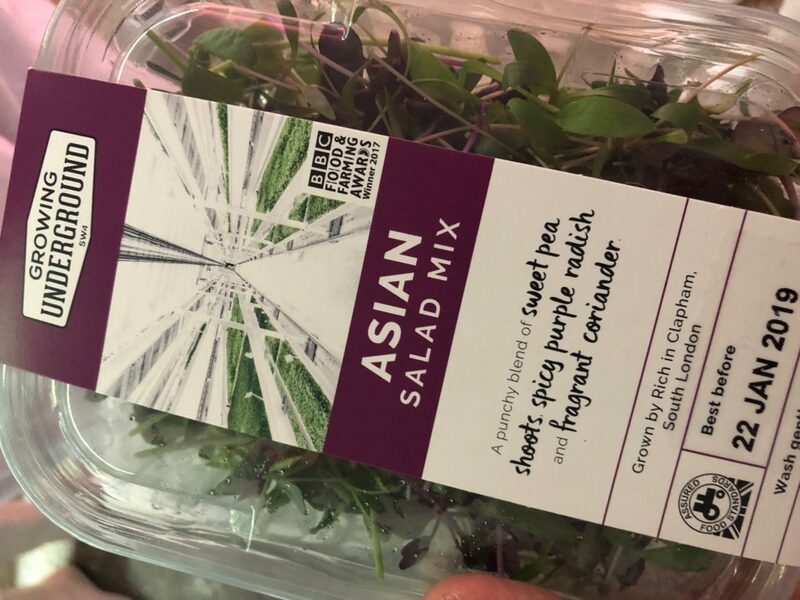 Typically the main produce is pea shoots and micro greens. 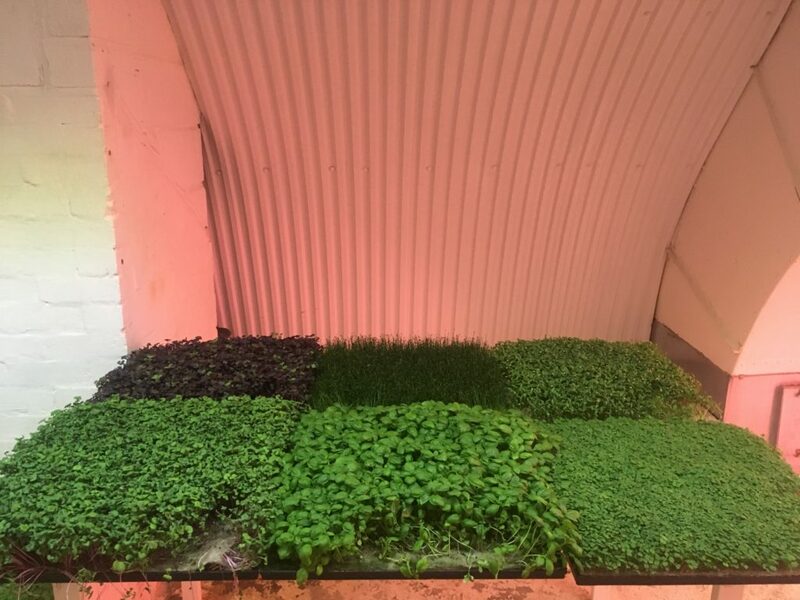 And because the farm is in central London, crops can be picked and delivered quickly to the local or other shops across the capital. This means they also have a longer shelf life. At the end of our tour we were lucky enough to try some of the product and were all amazed at how lovely it all tasted. To top off what had been an amazing experience, Richard then gave us all a fantastic bag of Growing Underground salad to take home for our tea. Delicious fresh salad to take home! 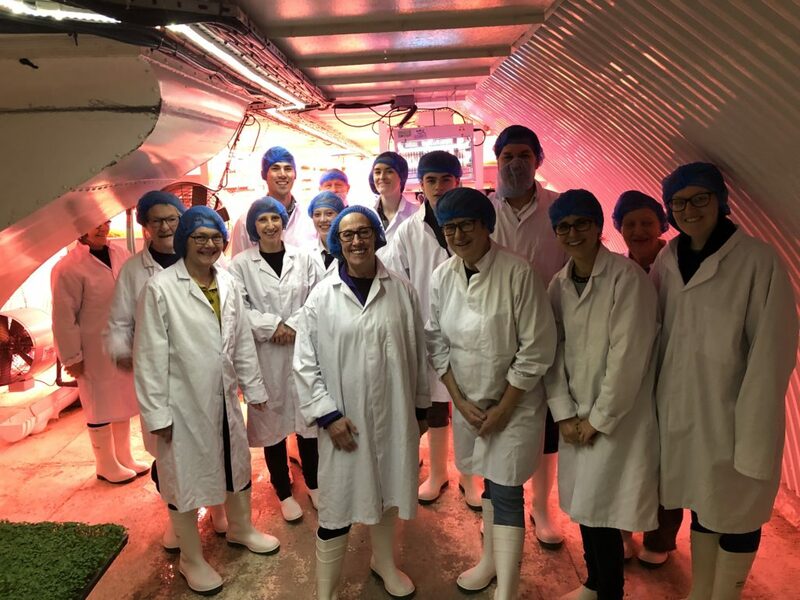 Overall, we all had a fascinating and insightful evening visiting the ‘farm below our feet’. And it’s an amazing think to there are thousands of people going about their daily business along the streets of Clapham oblivious to the fact that 100ft below them a sustainable farm is ambitiously growing the crops of our future. 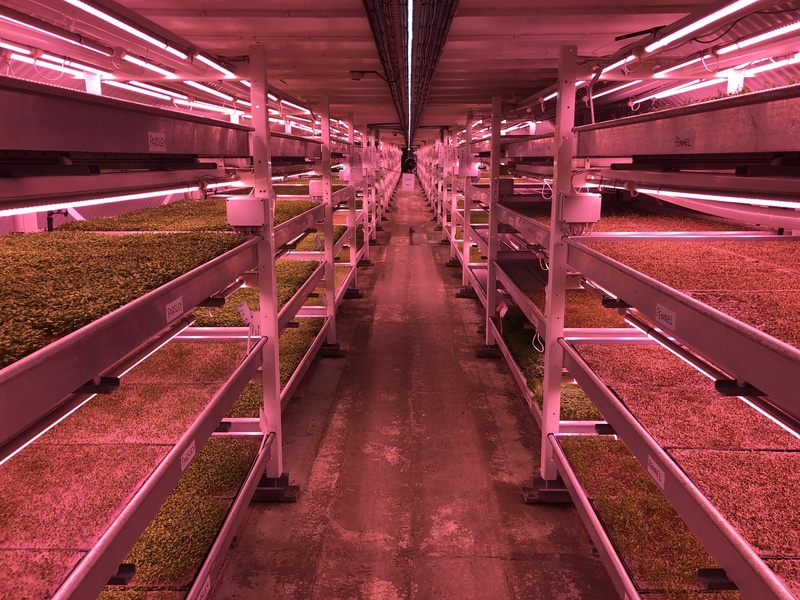 For more information about Growing Underground tours and where you can buy their produce, click on this link to their website.